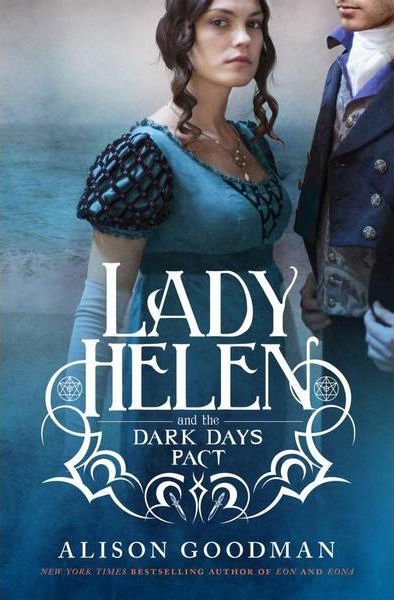 The much-anticipated sequel to Lady Helen and the Dark Days Club is out – and it delivers. For those who haven't read the first book, set in 1812 Regency London, it follows the orphaned Lady Helen Wrexhall, who was primped and preened and taught to be a lady of the highest manners by her Aunt, with the aim of attracting the most eminent suitor at her presentation ball. Things don't go according to plan when the dark and mysterious Lord Carlston shows Helen she has Reclaimer powers to fight the dangerous energy-wielding Deceivers. Lady Helen and the Dark Days Pact begins one month after the disastrous events at Lady Helen's presentation ball, this time set in Brighton, where the elite spend their summer. Lady Helen has been banished by her Uncle and Aunt and lives with Dark Days Club members, the critical and sour Lady Margaret and her kind brother, Mr Hammond. As her powers intensify, and going against all she has ever known, Helen begins the gruelling and aggressive training as a Reclaimer and gains confidence and skills. At the same time, her feelings for Lord Carlston, forbidden within the Dark Days Club, are consuming her as much as his slow demise. Helen is racing to find out what is making him ill, not convinced it's the energy from reclaiming too many Deceivers that's poisoning his soul. When Mr Pike, the bureaucratic leader of the Dark Days Club visits Brighton and orders Helen to work behind Lord Carlston's back, she must use all her wits and power to obey him and avoid Lord Carlston's demise. Described as Jane Austen meets Buffy, fans will find this series hard to put down. The characters stay with you long after the last page. Respected for her meticulous research of the era, Alison Goodman doesn't disappoint. The setting, etiquette and characterisations are brilliant and you feel like you're standing alongside the characters, immersed in Lady Helen's world. Alison Goodman is the best-selling author of the Eon and Eona series and knows her craft. She's currently working on the third instalment of Lady Helen's saga ... the count-down begins.